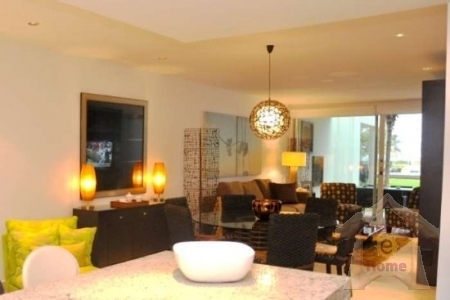 The Elements is one of Playa Del Carmen’s latest high-end condo complexes with amenities comparable to many luxury hotels. Professionally decorated with sophisticated modern décor, this two bedroom condo sleeps six adults and is conveniently located on the ground level. 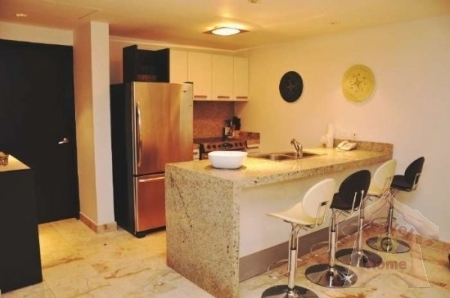 The condo has a formal dining area, fully equipped kitchen, living room area with plasma TV (satellite TV), DVD player, free Wi-Fi, private patio with dining area, entertainment space, washer & dryer, dishwasher, just to name a few of the high-end amenities. 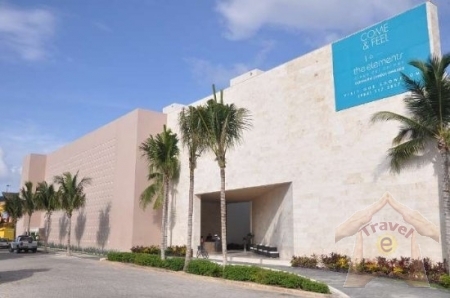 The Elements is located in front of Coco Beach, the perfect playground for adult beach lovers who seek privacy yet prefer proximity to Fifth Avenue. In addition to the beautiful 50 meter infinity pool with lounge areas, you also have access to an ocean view business center, modern fitness center, free Wi-Fi and private beach club. The trendy and popular beach club Cannibal Royal is also located nearby.